1. 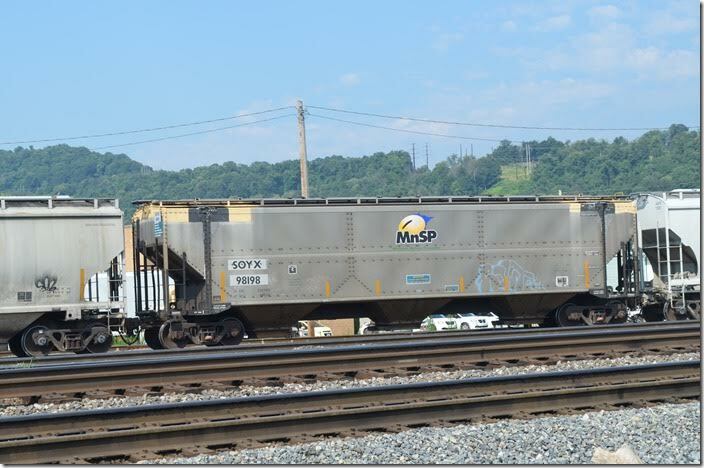 SOYX (Minnesota Soybean Processors) covered hopper 98198 is being switched at Cumberland MD on 07-17-2017. Neat logo. 2. HPJX (Helm Pacific Leasing) 555128 rotary coupler/rapid discharge lease hopper is leaving Russell KY on a westbound coal train on 08-06-2017. 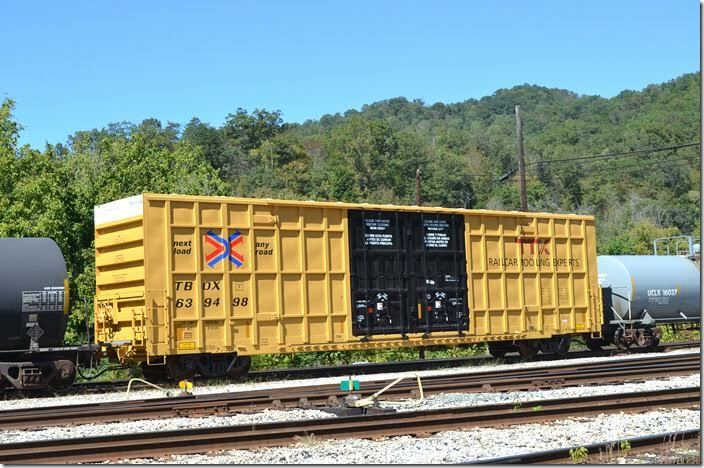 These cars were built by Freight Car America in 2005. 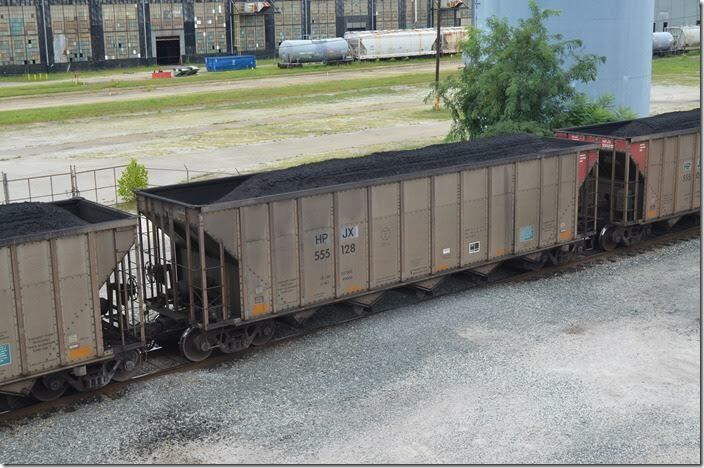 I don’t know where this coal train was going. 3. 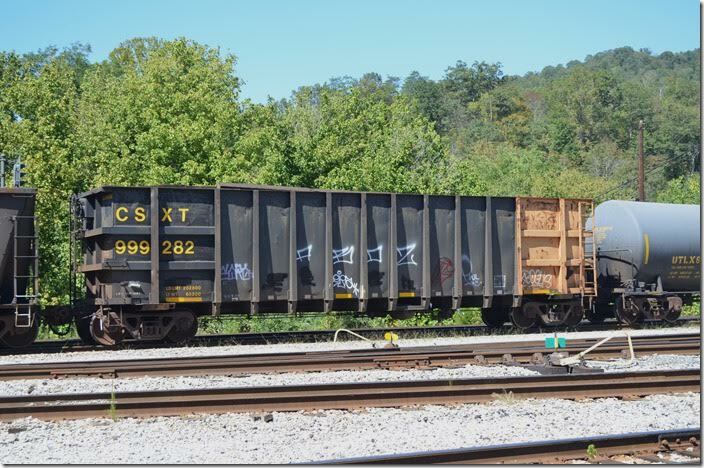 COBX (Union Tank Car Co.) gon 2109 is in the former coal classification yard at Russell KY on 08-06-2017. 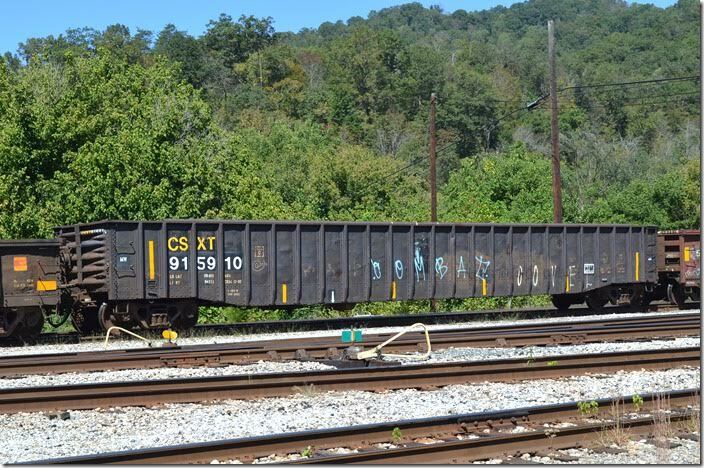 This “Coalveyor” has likely been relegated to scrap metal or scrap tie service. 4. TFOX (Redsico) gon 3331 is a “Coalveyor” built in 1980. Redsico is in the metals recycling business. 09-10-2017. Shelby KY.
5. 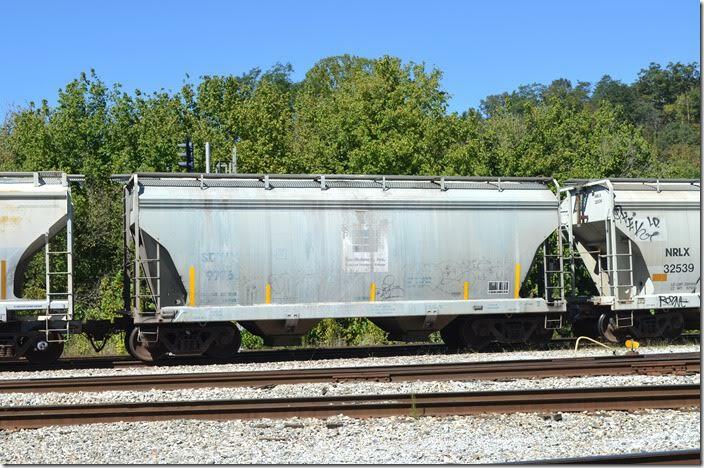 A former CSX “fluff” gon, 915828 is now in the maintenance-of-way fleet hauling scrap ties, etc. On Q697/Q692 at Shelby KY on 09-24-2017. 6. 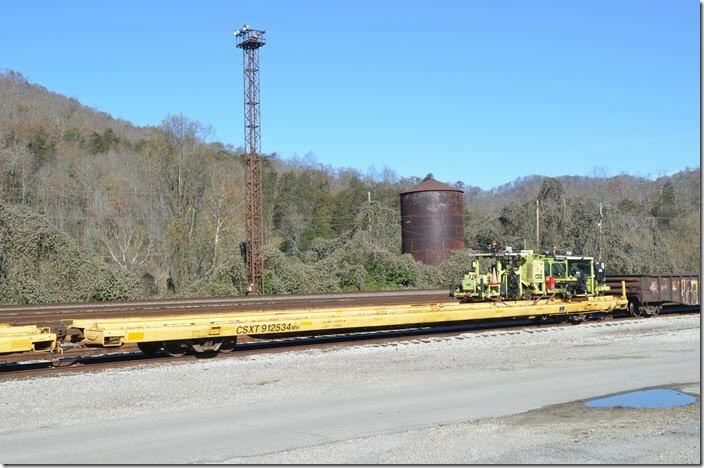 This mill gon has been relegated to M of W service hence the renumbering to CSX 915910. Shelby KY.
7. 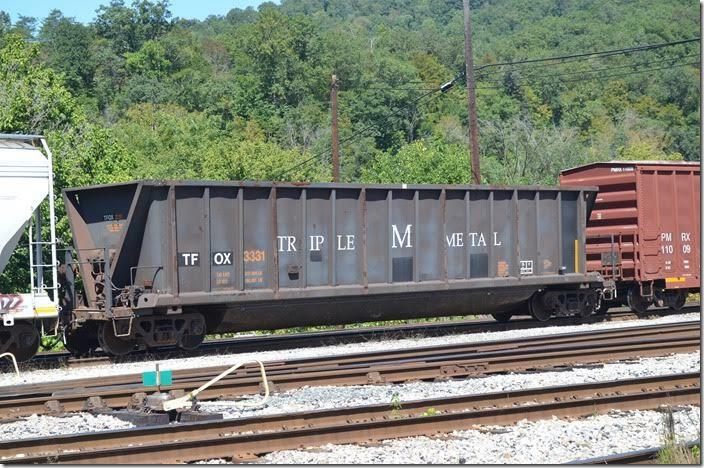 There is no mystery to where INTX (Interstate Commodities Inc) covered hopper 74218 came from. 09-24-2017. Shelby KY.
8. Union Pacific has so many cars that they must resurrect vintage reporting marks like SSW (St. Louis Southwestern or “Cotton Belt”). SSW 70229 covered hopper. Shelby KY.
9. 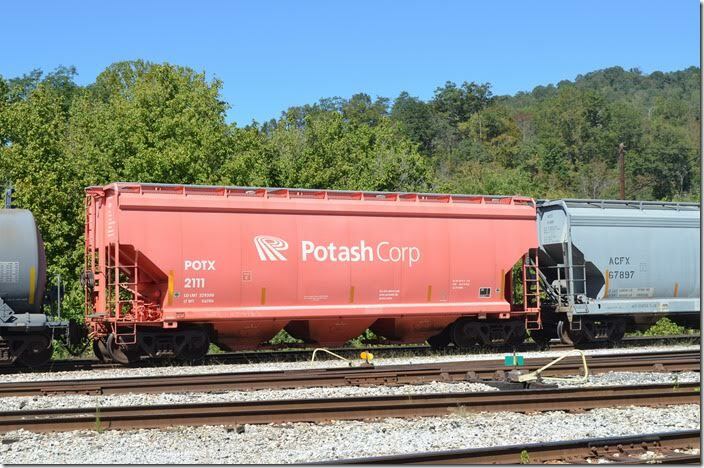 POTX (PCS Sales USA or Potash Corp.) covered hopper 2111 leaving Shelby KY on 09-24-2017. 10. 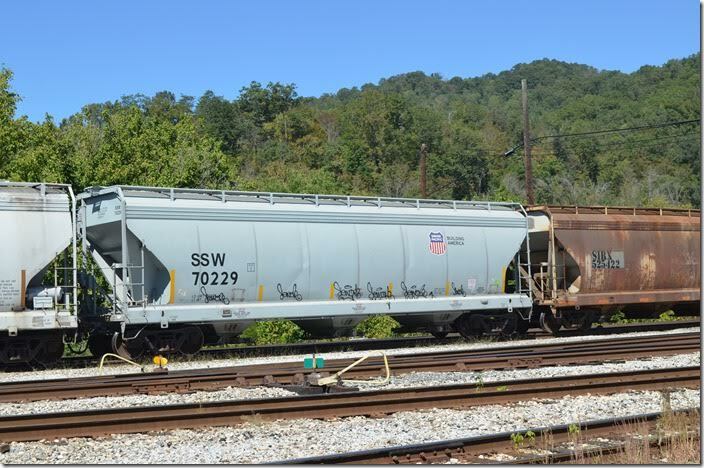 SDMX (Southdown Inc. Cement Producers Group or CEMX Inc.) covered hopper 9776 was built by Tharall in 1997. Shelby KY.
11. 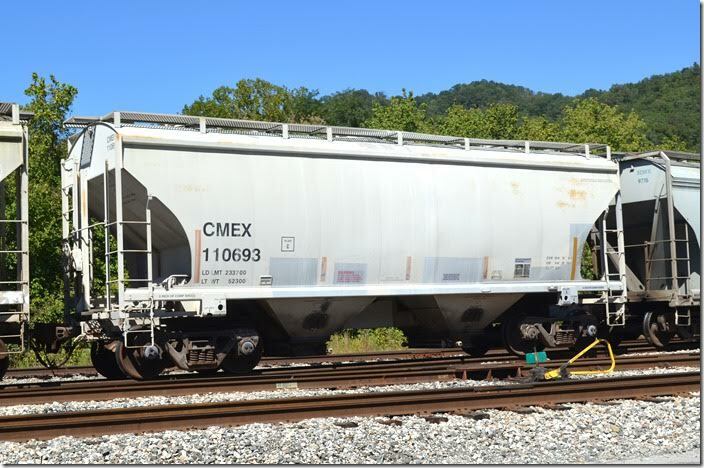 CMEX (Cemx Inc.) 110693 covered hopper. Shelby KY.
12. 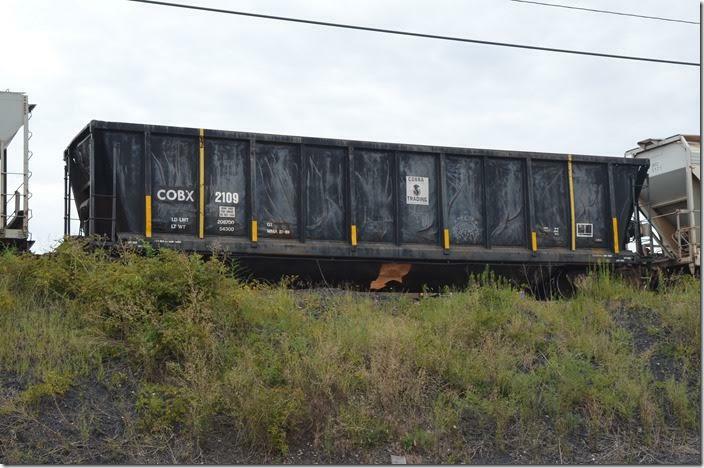 CSX 999282 is an old coal gon relegated to scrap tie service. Shelby KY.
13. 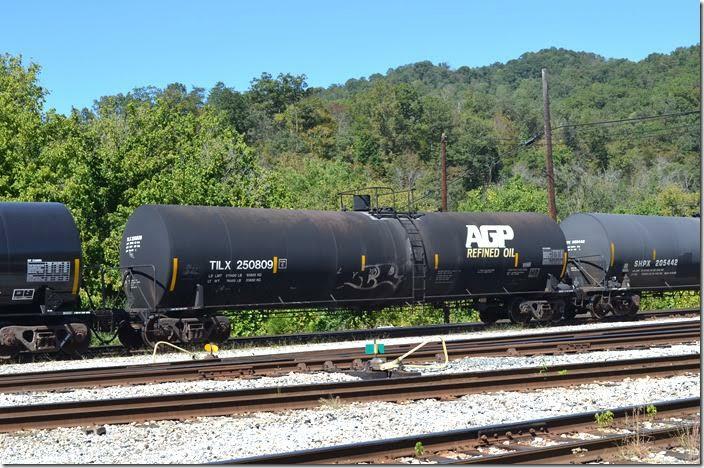 TILX tank 250809 is now used by AGP Refined Oil/AG Processing Inc. TILX is a Trinity reporting mark. Shelby KY.
14. TBOX (TTX Co.) 639498 box hasn’t been “tagged” with graffiti yet. Unbelievable! Shelby KY.
15. 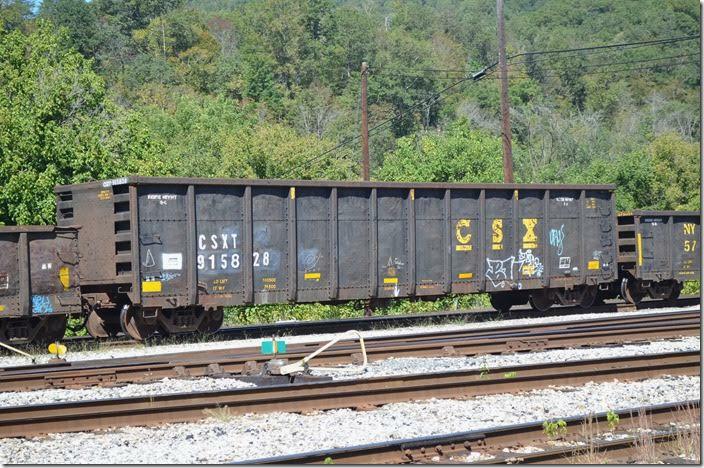 CSX MW 912534 is a former piggyback flat built in 1977 that is now used to haul track equipment. Shelby KY. 11-17-2017. 16. 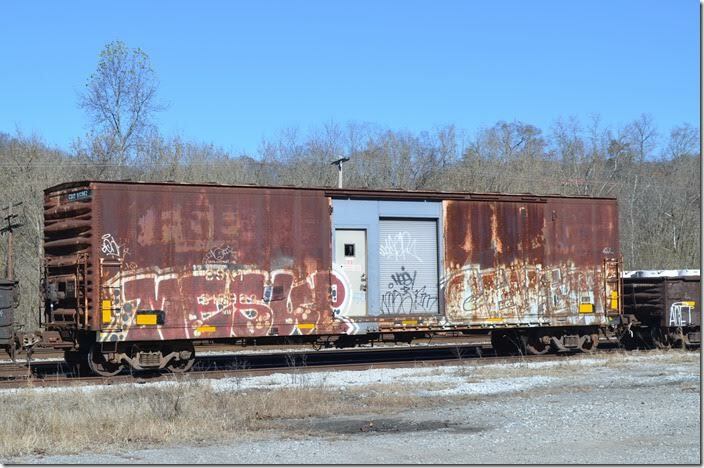 CSX MofW material boxcar 910962 has the old Fruit Growers Express logo showing through the rust. 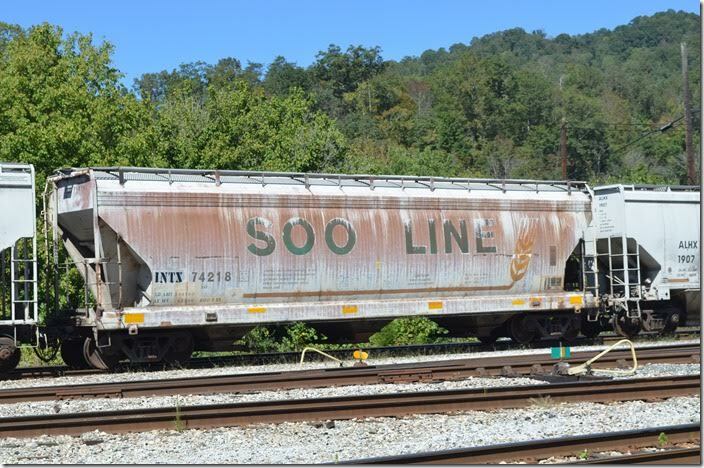 Remember when C&O camp and tool cars where painted green? Ah, those were the days. Shelby KY. 11-17-2017. 17. 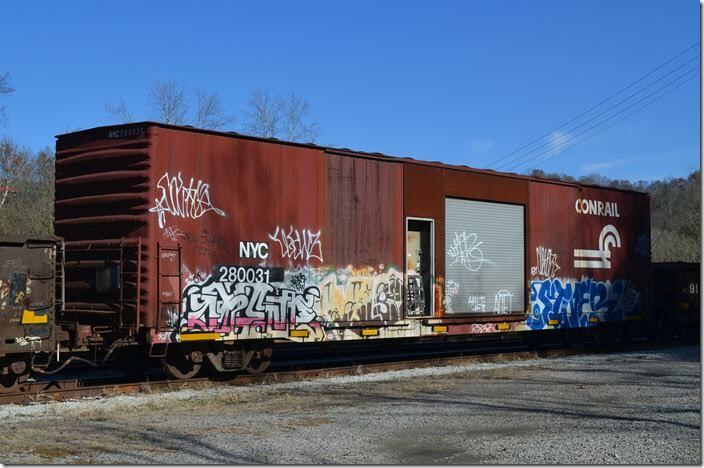 This former Conrail box car is now numbered NYC MW 280031. Wonder why it wasn’t given a 900000 number in the MofW series? It was built in 1965. The old New York Central had many of this type of cushion under frame car for service to the automobile industry. Shelby KY. Copyright 2011 - 2018, CSX Transportation Historical Society. CSX or CSXT is a registered service mark and is reproduced here with permission of CSX Transportation, Inc.
CSX Transportation, Inc. is not affiliated in any way with the CSX Transportation Historical Society (CSXTHS), and is not responsible for the accuracy of any information put forward by the CSXTHS.